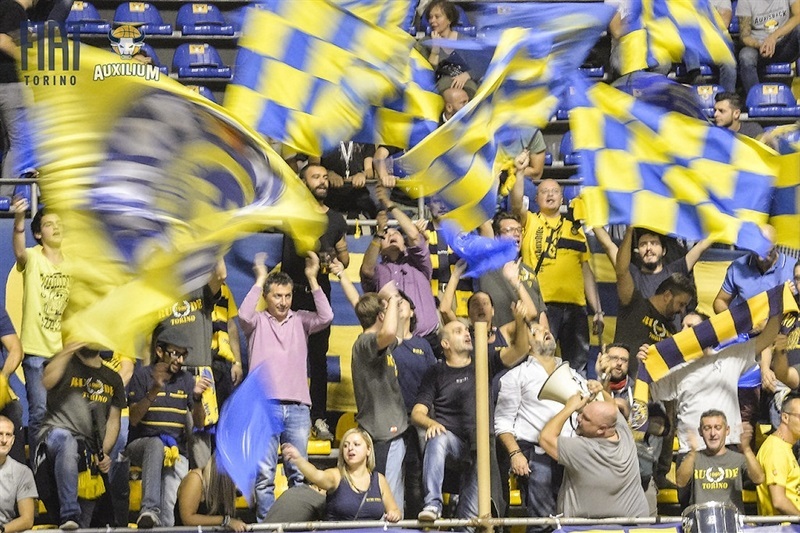 Fiat Turin won its first ever 7DAYS EuroCup home game by beating MoraBanc Andorra 92-86 at PalaRuffini on Tuesday night. The victory keeps Fiat atop Group A with a 2-0 record, while Andorra fell to 0-2. 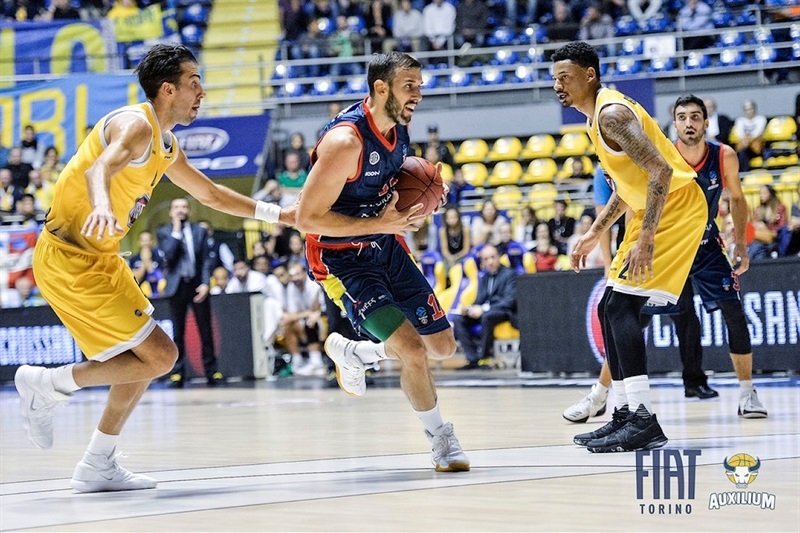 It was a back and forth game with Andorra leading by 14 in the second quarter before Fiat rallied to close the gap and then scored 33 in the third quarter to take control. 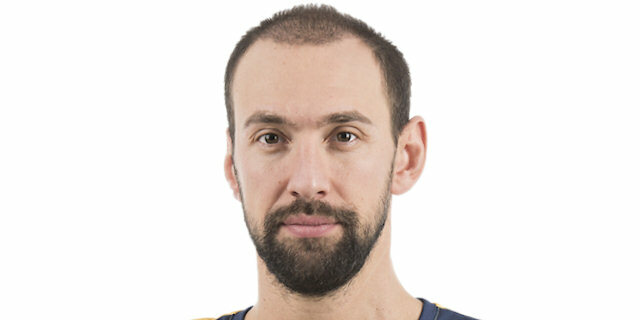 Andorra, led by Jaka Blazic, came back to within 3 in the fourth, but Fiat held on. Lamar Patterson paved the way with 19 points, Trevor Mbakwe posted 15 points and 11 rebounds, Diante Garrett scored 13 and David Okeke and Sasha Vujacic netted 12 points apiece. 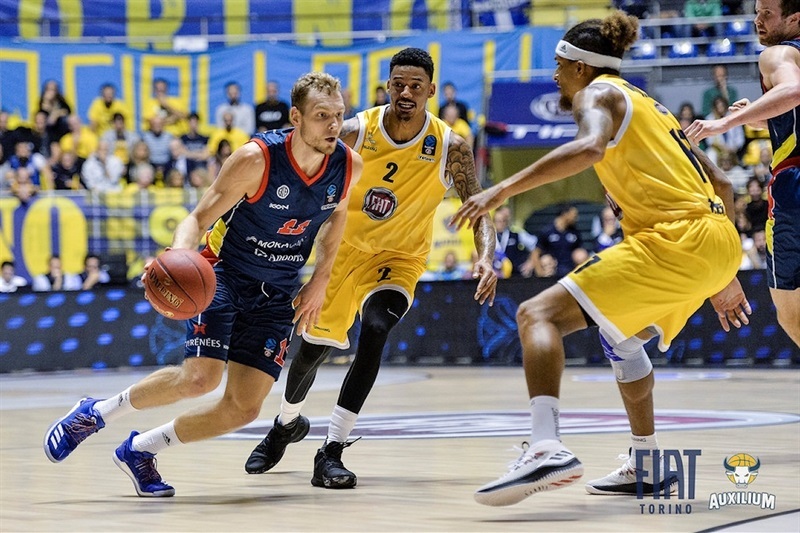 Jaka Blazic led Andorra with 22 points, Vladimir Jankovic tallied 15 points and 9 rebounds, John Shurna added 11 points, Przemek Karnowski had 10 and Andrew Albicy dished 9 assists in defeat. Offense was on display as the teams traded scores early, but neither side led by more than a shot until David Walker free throws made it 17-21 after 10 minutes. Free throws by Karnowski and Albicy extended Andorra’s lead to 20-27 after 10 minutes. David Jelinek hit a three to start a 0-9 run, which Albicy ended with a shot from downtown, as the visitors surged ahead 26-40 midway through the second quarter. 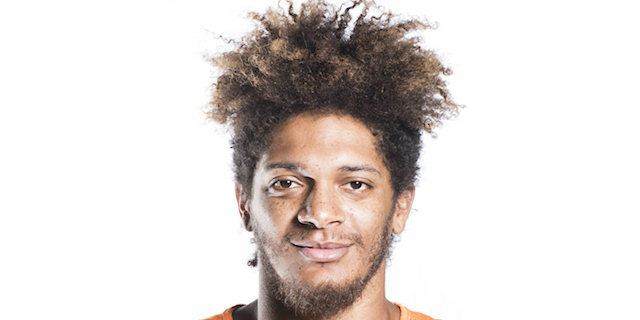 Mbakwe’s three-point play ignited a 12-0 Fiat response that Andre Jones capped with a pull-up triple to bring the hosts within 2. Jaime Fernandez’s floater on the halftime buzzer gave Andorra a 38-42 edge. 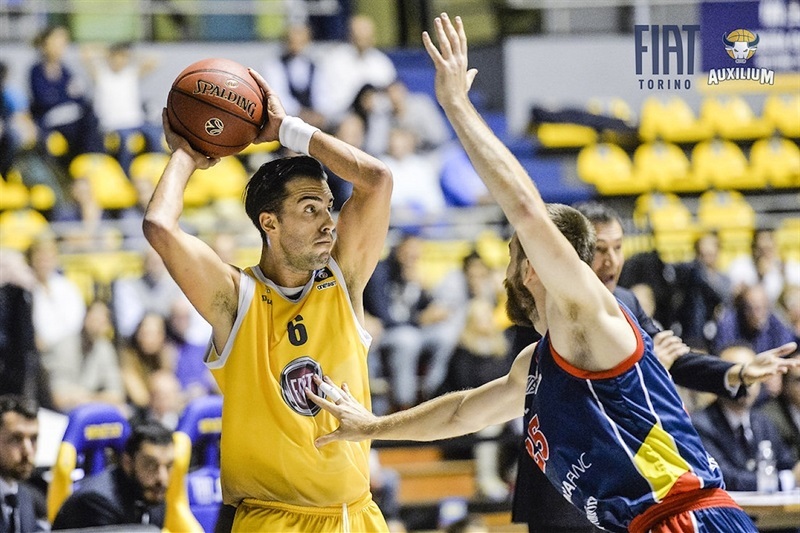 Fiat took its confidence from the end of the second quarter into the third and took the lead on a Vujacic three-pointer. 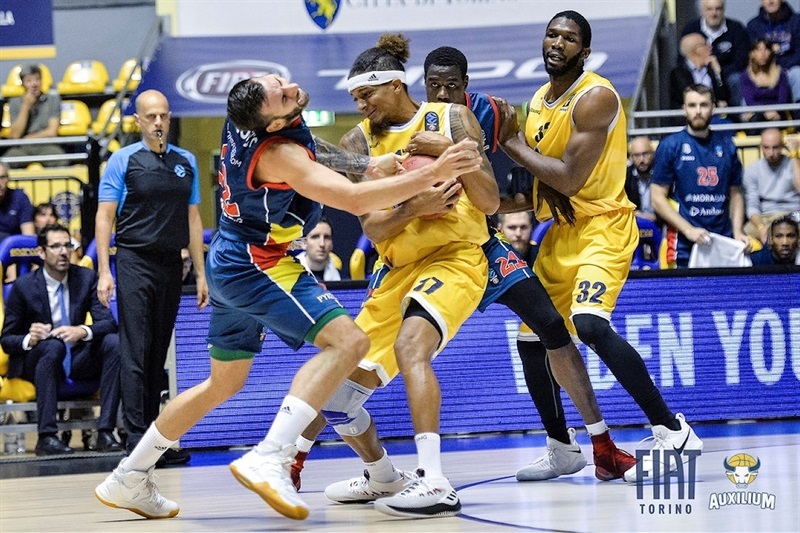 A second Vujacic triple made it 48-44 and the hosts continued to roll with Okeke connecting from downtown and off the offensive glass to make it 59-51. After a timeout, Blazic hit a three, but Okeke took control with a triple, a blocked shot and free throws to push the difference to double figures, 64-54. Fiat totaled 33 third-quarter points to lead 71-60 entering the fourth. Andorra did not quit; Shurna buried a pair of triples and Blazic added another as the visitors stormed to within 73-70. 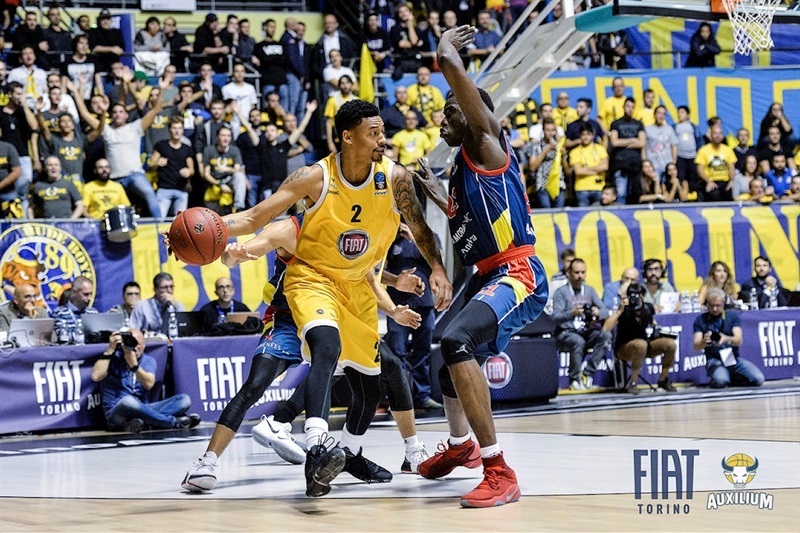 Garrett connected on a three and Mbakwe dunked over Karnowski as Fiat looked to wrap the game up at 80-71 with less than five minutes remaining. 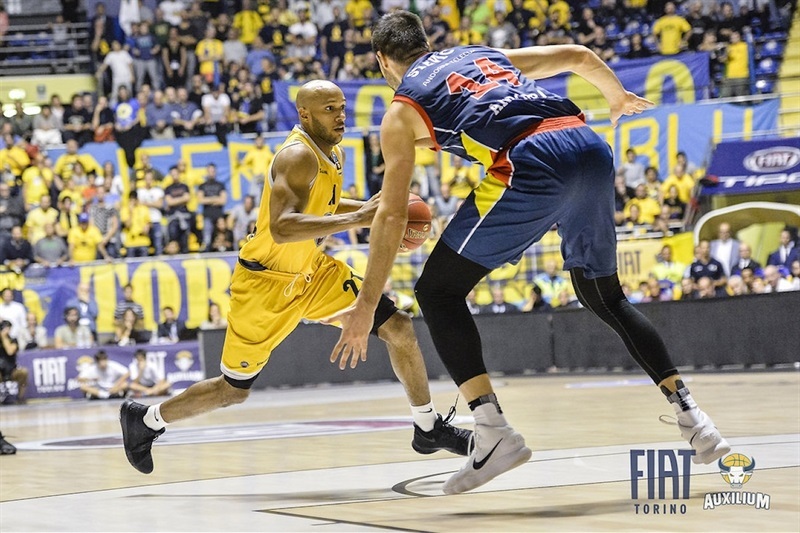 Karnowski gave Andorra hope when he drew the visitors within 5, but he soon after fouled out and Andre Jones helped ice the Fiat victory. 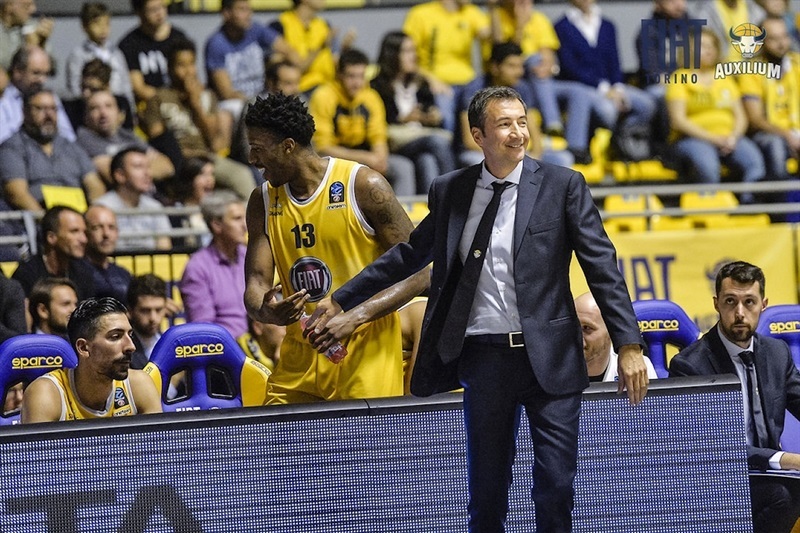 Fiat will put its perfect record on the line in France against Levallois Metropolitans next week, while Andorra heads home to host Cedevita Zagreb. "Great win. Great Energy. It’s a great way to involve the fans. Tonight the atmosphere was special. Of course we struggled at the beginning, then minute by minute finally we understood the way we have to play. That’s the EuroCup, we are rookies and we have only three players who have already played the competition. Unfortunately our approach was not the best, but minute by minute everything was batter and finally we won the game. And I suppose this will be a very important win for our future in the Cup. " "We had a great beginning controlling the pace of the game and defending aggressively. 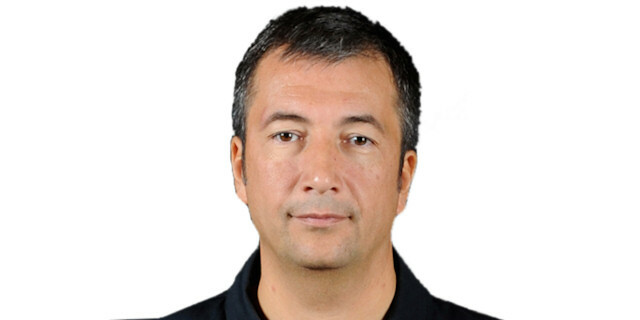 This, unfortunately, only for the first 15, 16 minutes; at the end of the second quarter we started to make mistakes on offense and defense and Turin punished us. When you are down by 8-10 points, it's hard to overturn the result and recover against a team like Turin. That's why we lost: we weren't able to compete." “It was a really important win. The first home game in a European competition after 30 years. We struggled a little bit the first two quarters, but we know that we have a deep roster with aggressive attitude and energy in defense and we overturned the game in the second half playing a great third quarter." “Tonight's game was a great game. Very intense from the beginning, but we knew it and we were prepared. We came to play in front of our supporters and we won. If we continue to build on this, we will be a very good team."